New term new theme – Cities! 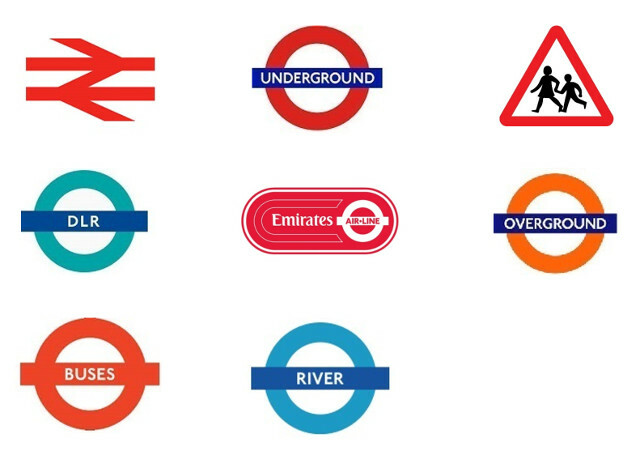 This week we tackled the big one – London. The focus for our visit was the diversity of its transport system (how do you move some 8 million people around everyday?) and the scale of its monumental architecture. 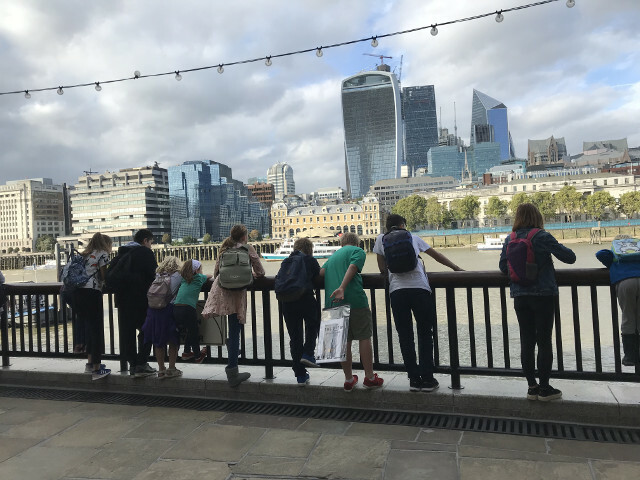 In short we tried to experience as many forms of transport as possible and see as many of the capital’s largest building as possible – all in a day. At the foot of the Monument. 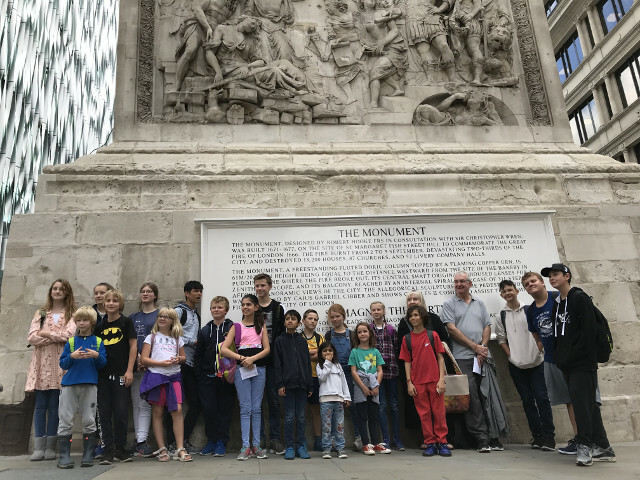 The Monument marked the furthest extent of the Great Fire of London (1666) and was at the time the city’s tallest building. 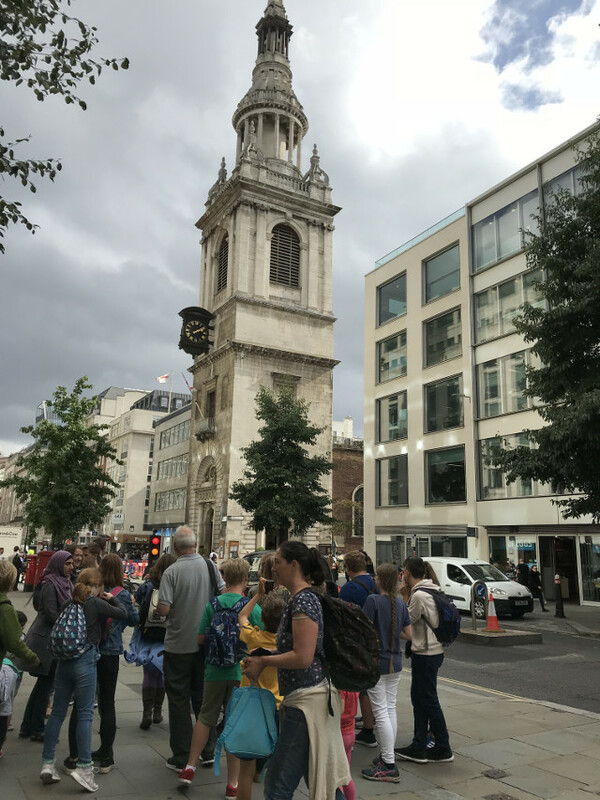 At St. Mary-Le-Bow church. If you were born within earshot of it’s bells you were officially a cockney. Crossing the Thames on the Emirates zip wire. High winds – a bit scary but we kept our cool (well most of us did). 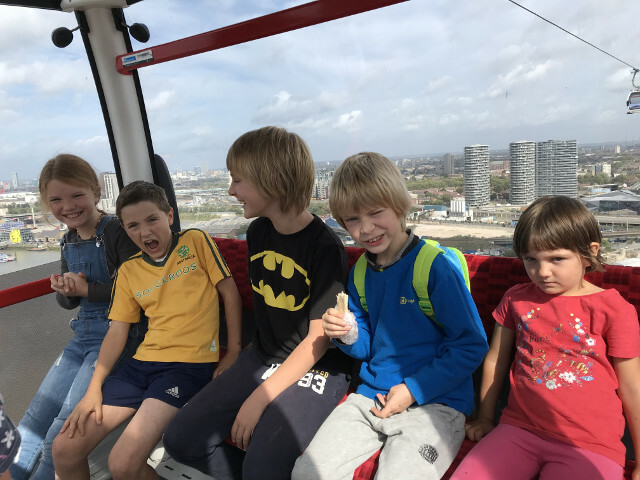 The highlight of our trip was the ascent of the Shard – London’s tallest building. Here is a little video showing the view from the 72nd floor.